Attracting more people to your commercial district is vital. But when they get there, they must be delivered what they are promised. Then they will stay longer and tell their friends. If the promise is not delivered they will go away disappointed. This decreases foot traffic in your town. This is noticed by businesses who come to your town to look at vacant shops. The decreasing foot traffic gets even worse if businesses are not leasing shops or buying businesses. So put the community into your economy by delivering on your promises. 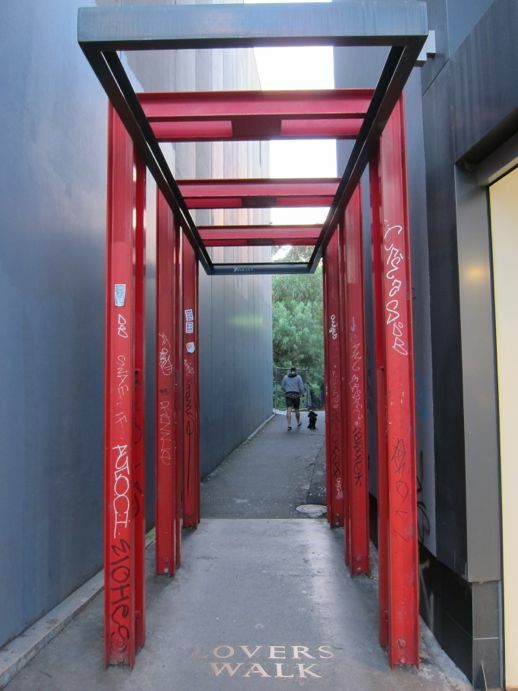 This photo: Lovers Walk – 531 Chapel Street, South Yarra, Australia. Taken from the main shopping street of the area – Chapel Street.